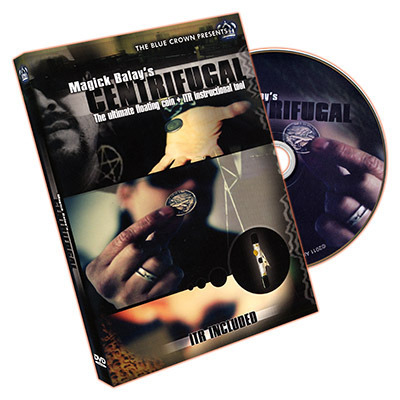 Today, when you order "Centrifugal (DVD and Gimmick) by Magick Balay and The Blue Crown - DVD", you'll instantly be emailed a Penguin Magic gift certificate. You can spend it on anything you like at Penguin, just like cash. Just complete your order as normal, and within seconds you'll get an email with your gift certificate. Centrifugal has been a cornerstone effect in Magick Balay's repertoire for over a decade. Borrow a coin or bottle cap and instantly make it spin and hover in mid-air. 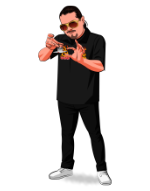 The item glides from hand to hand and can be instantly handed back to its owner. Centrifugal comes fully equipped with an Invisible Thread Reel (ITR) so you can start floating right away! "Magick absolutely blows people away with his beautiful handling of this effect. Hundreds of live performances have turned this into a true masterpiece of magic!"